Another chance to hear a local band. Bristol - based indie four-strong act Fossette, who are influenced by the likes of Parcels, Phoenix and Blossoms, will be helping keep the music going as the weekend draws to a close. Calm and understated, Bristol’s Harvey Causon isn't looking to pin your ears back with a wall of sound. 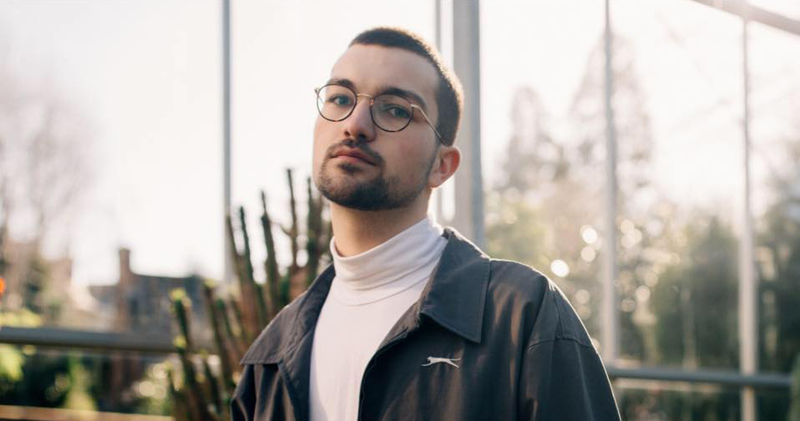 You’ll be blown away instead by his soft, glitching electronica, deft take on contemporary R&B, and enthralled by his rich vocals, that sound far more world wearied than his 19 years. Coming down from London with a fistful of major festival appearances under their belts and rave reviews from BBC Introducing and 6 Music, this bunch mix classic strings, operatic vocals, heavy beats and energetic rap. Intrigued? 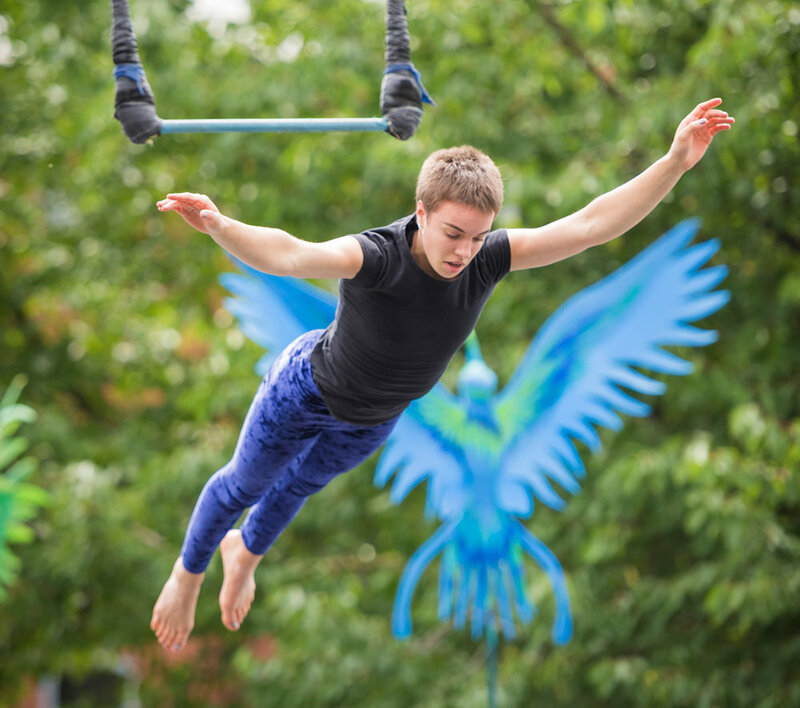 Then head on down to Cascade Steps. The band was created when classically-trained Josephine became fed up with the gap between the worlds of classical and pop so decided to make something which is neither but has the best of both. Their live performances are full of energy and their music is infectious, as audiences at WOMAD, Camp Bestival, NASS, Standon Calling, Boomtown and even Glastonbury will testify. Enjoy some Ceilidh dancing with Mr Medler, who will be leading some fun and sociable folk dances for all ages. Don't worry if you can't remember back to those country dancing days at school, Mr Medler will carefully explain each dance so you don't need to know them in advance, meaning everyone can join in. A chance to enjoy this mesmerising dance which originated in Argentina but has spread around the world. Bristol's Tango Puro organise regular classes in the city, and will be performing a variety of Tango dances. Once likened to four brothers, Bristol based Tungz are a tight-knit group delivering an intoxicating blend of 70s synths, disco grooves and friendship. Having just launched their self-produced debut single, Window Love, Tungz are clearing the way for a new era of funk inspired bedroom pop. A Bristol-based vocal and piano/double bass duo who combine soulful originals with classic jazz sounds, Charlie and Jake are a real treat live. Mixing powerful vocals with clever melodies, they spin stories of love, friendship and sense of place. Bristol-based Ruby Jazz features some of the busiest local swing musicians. The past year has seen them become a popular band with the swing dance community and their performances are often accompanied by a large numbers of dancers. Expect a splash of Sinatra, a soupcon of Ella, a hint of Basie, a touch of O'Day and a peppery and vibrant gumbo of the great American song book.. Bring your dancing shoes and a swing in your step. R&B singer, songwriter & poet Aaliyah Esprit has had an incredible 12 month. Last year she put together a full live band for support slots with Denai Moore. Now an integral part of the Cosmic Soul Collective, Aaliyah has also been announced as a pupil of the Future Bubblers Programme created by hugely influential DJ and broadcaster Gilles Peterson for his Brownswood label. 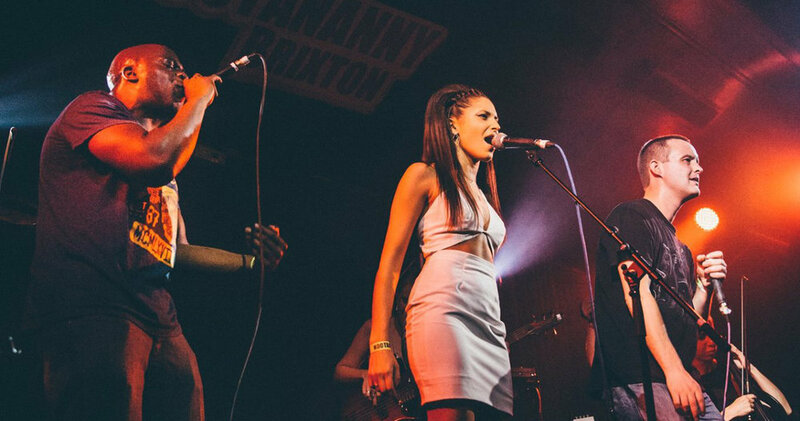 Head to the Thekla on Sunday to hear this rising star, who fuses R&B with soul and trap with a heavy dose of jazz infleunce, perform and see what all the fuss is about. Eat Sleep Drag Repeat present a line-up of contemporary drag and variety performance for all ages, hosted by International drag star Alyssa Van Delle. We've had to wait a year to see this band, and it should be worth it! The only act to be rained off at last year's Harbour Festival, they were the first booked for 2018. Blending jazzy pop with a strong soul vibe, the Rosa Gray Band are a feelgood, upbeat outfit with some sassy original songs, cheeky lyrics and a touch of Caro Emerald and Amy Winehouse. This Bristol six-piece recently released their debut EP 'Left Me In The Summer' which is now available on Spotify and iTunes. A hugely talented songwriter, Zander's arrival in Bristol was our gain and Oxford's loss. 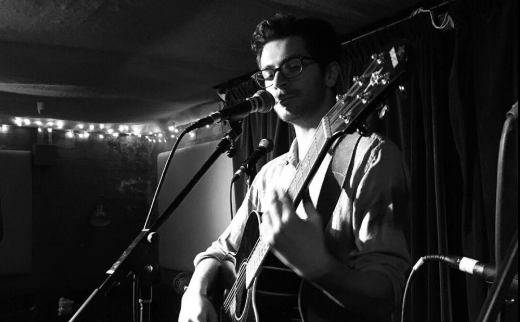 He played his first gig at the tender age of 14 and has blossomed into a serious talent and one to watch. Fans of Frank Ocean, Hiatus Kaiyote Jeff Buckley and Radiohead will appreciate the indie/R&B slow jams from this Bristol act whose set is sure to soothe the mind and soul. Join DJ Nick Terrific , and MC Rocky Patch for the most uplifting and funniest family rave on the planet! If you love dancing, If you love phat beats, If you love raving with your kids then come and spread the love with us. At a Junior Jungle Party you can expect only the finest cuts of Jungle, DnB and Jungle remixes of classic tunes, vetted for age appropriate content and expertly mixed live by Nick Terrific. You can expect to dance, a lot. MC Rocky Patch will lead the charge making sure everyone is jumpin’ and skankin’. And remember- If you’re not sweating, you’re not doing it right! 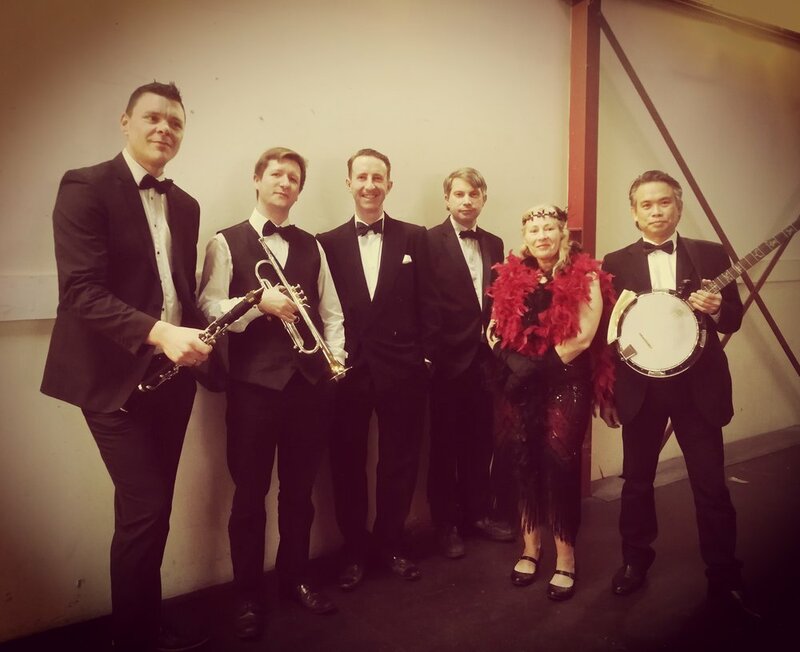 Shanghai Shuffle are a lively, upbeat 1920s jazz band with a distinctive flair for bringing this much-loved music alive, keeping it fresh and accessible to all generations. Formed a year ago, they have gone from strength to strength, regularly playing for the dance community in Bristol and Cardiff as well as bringing its special vibe to popular speakeasies. Bring your dancing shoes, your tapping toes and shimmying shoulders for this infectious and fun music..